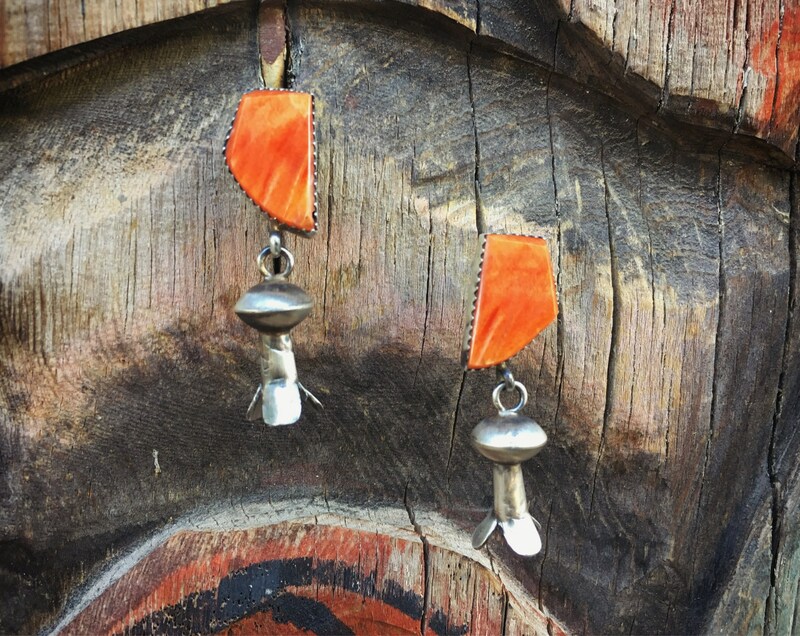 I love the color of these earrings, which are made with the shell spiny oyster. 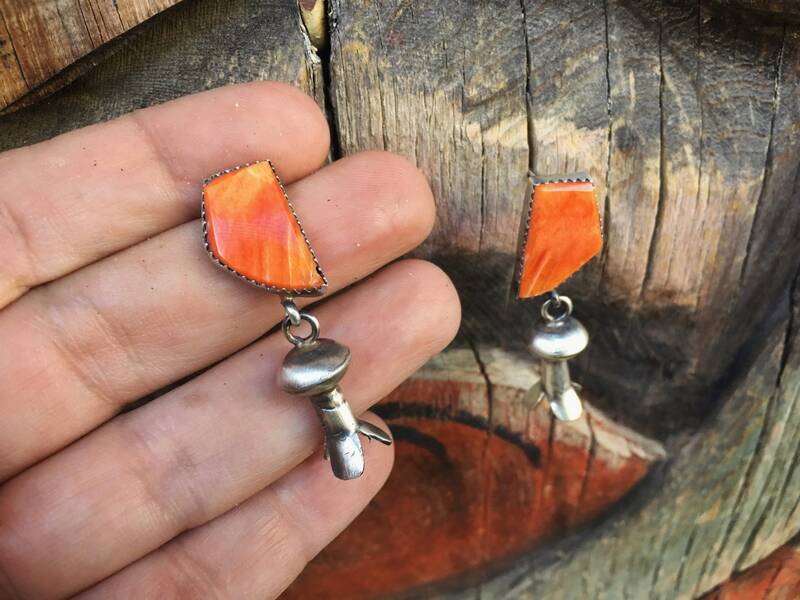 Spiny oyster varies in color from orange to red to purple--often with different degrees of white striation--and these particular pieces of the shell are deep and vibrant orange. 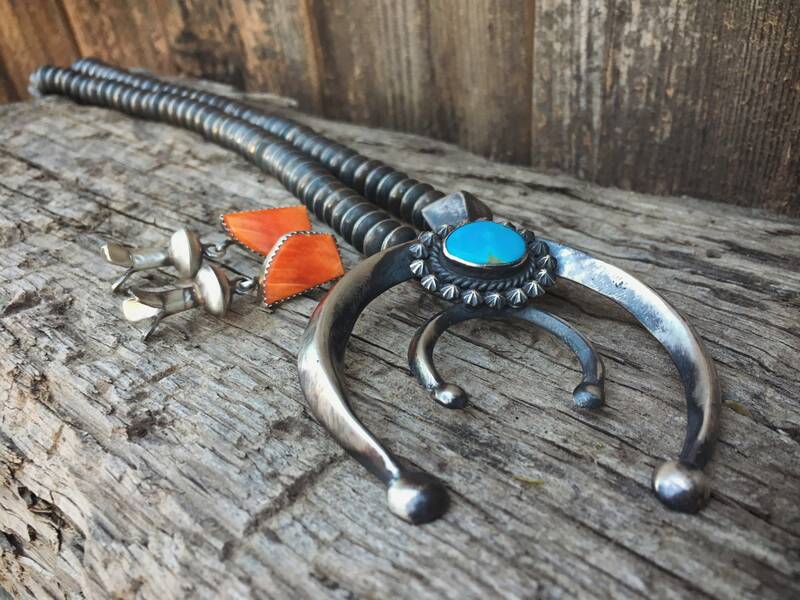 And what I love most about them, besides the fact that they are fairly light and just the right size, is that the color contrasts so beautifully with turquoise. 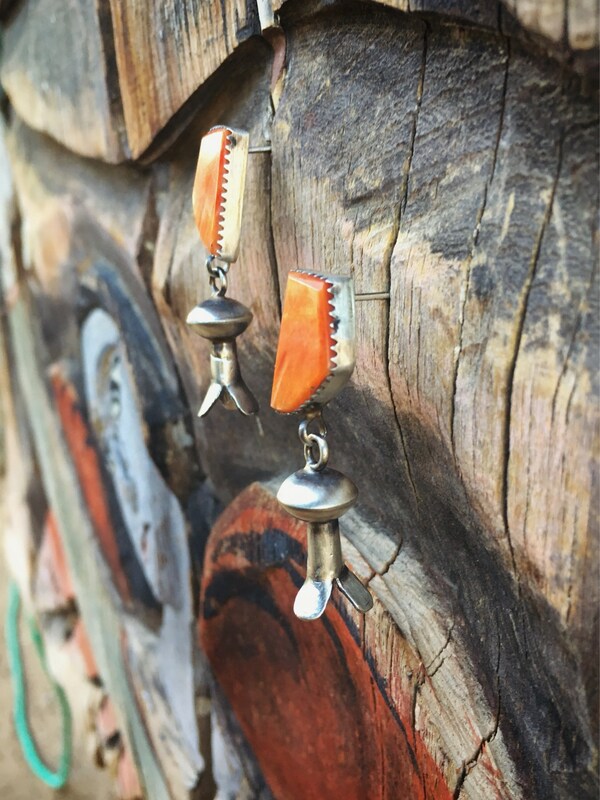 So much so that I've photographed the earrings with a turquoise naja in several of the photos. 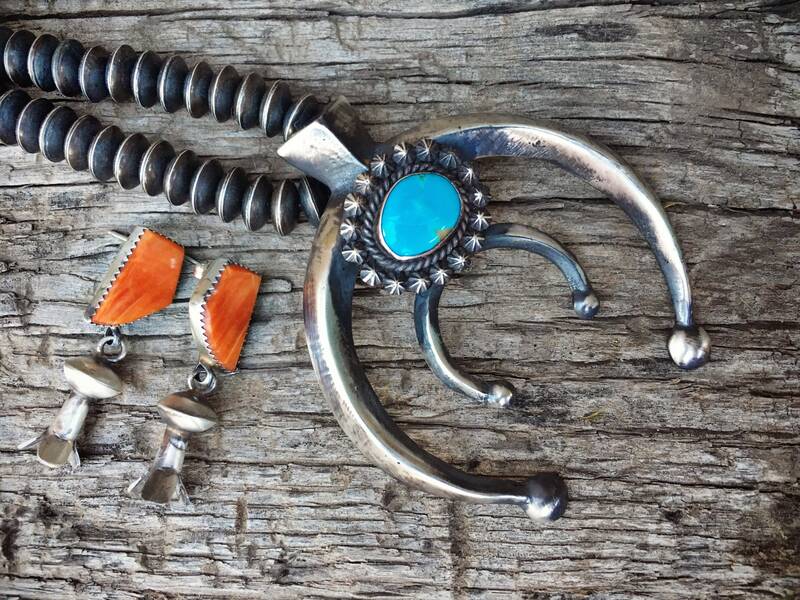 The shell is shaped into unusual and somewhat abstract geometric shapes and hanging off of teach bezel is a sterling silver squash blossom. 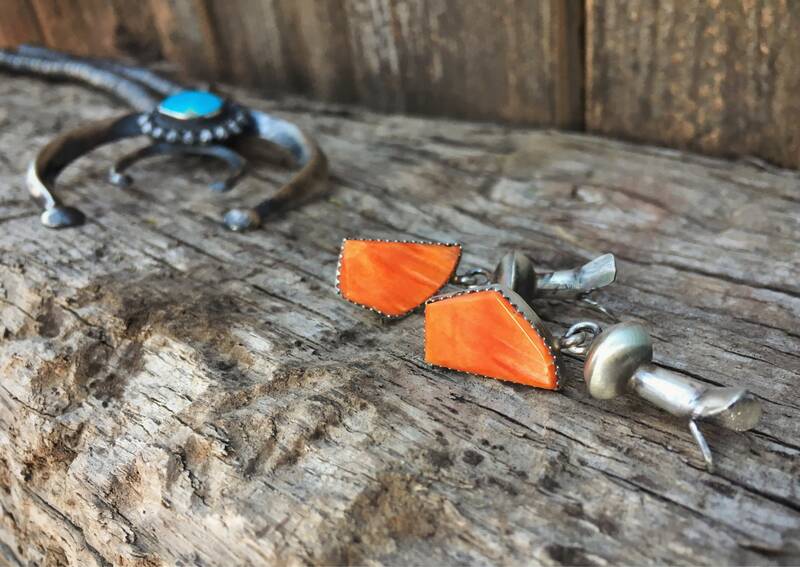 The earrings have a hard-to-read hallmark, which I believe is SW, for Navajo Selena Warner. They also carry a STERLING stamp. 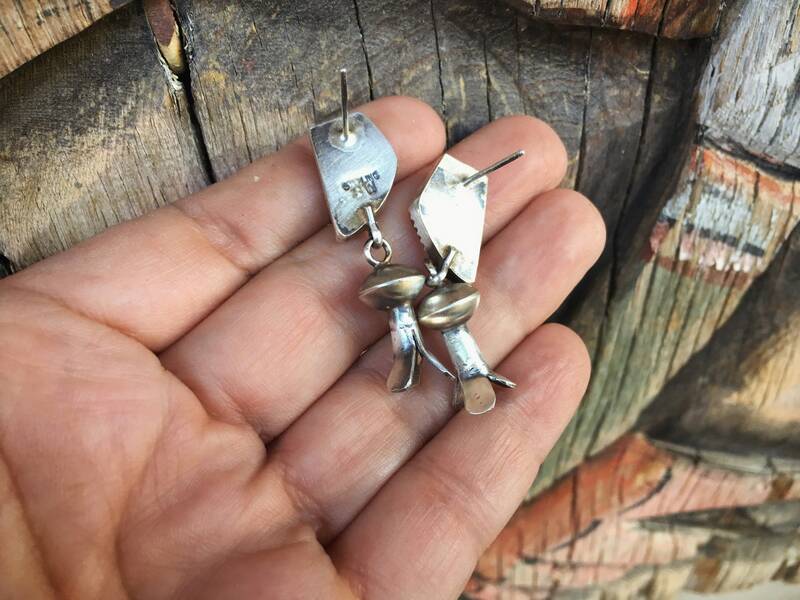 Each earring measures 1-5/8" long by about 1/2" wide. Sterling silver is a brushed finish. In good condition.